Sataspes is a genus of hawk moth, Sphigidae, name of genus is meaning a Persian navigator who is cavalry commander that lead cavalry solders (horse solders). The name is a combination of two parts: sat = 100 and asp = horse with meaning of mun-ti horse team leader. 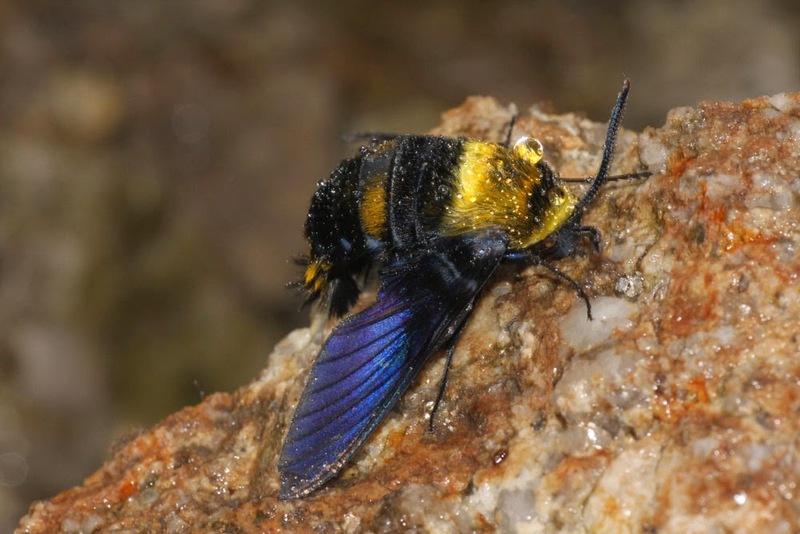 In Vietnam there are two species (among 9 species of the world) were recorded: Sataspes infernalis and Sataspes tagalica. The previous difference from the later species remarkably in the yellow marking by scales on the dorsal side of the abdomen segments. 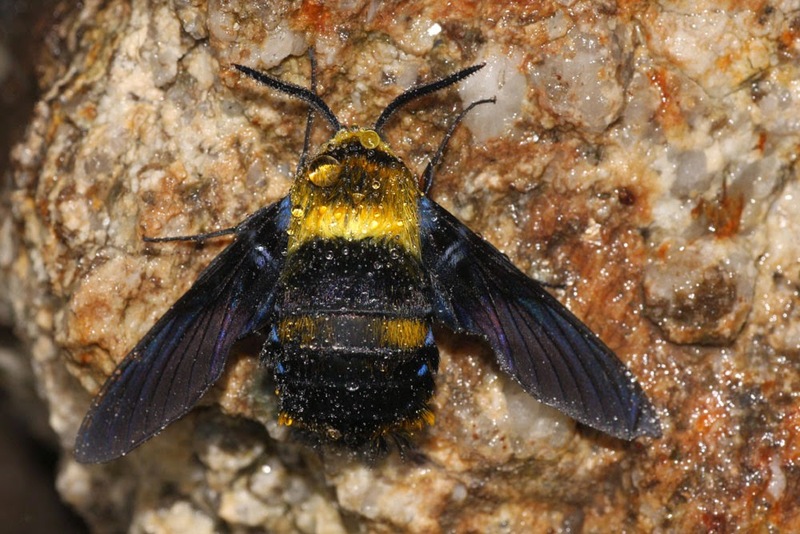 This moth mimic to carpenter bee both in shape and size of the body. 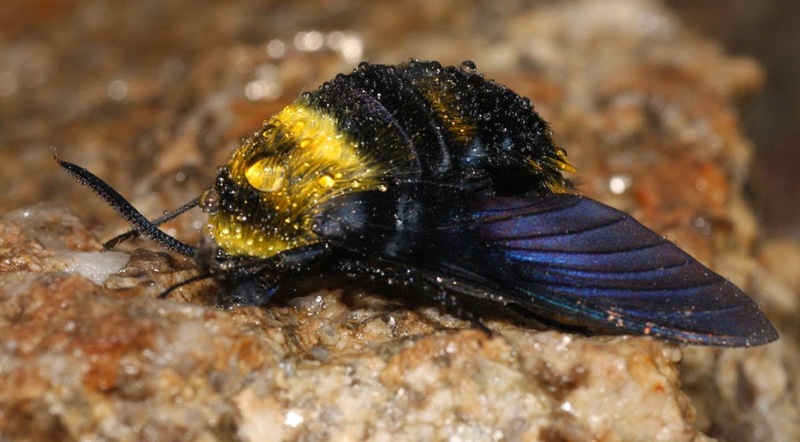 Carpenter bee is insects of the genus Xylocopa, they are large size bee and distribute world wide. They build their nests in dead wood (bamboo, timbers...) so they are called carpenter, however some of them have nests in the ground. 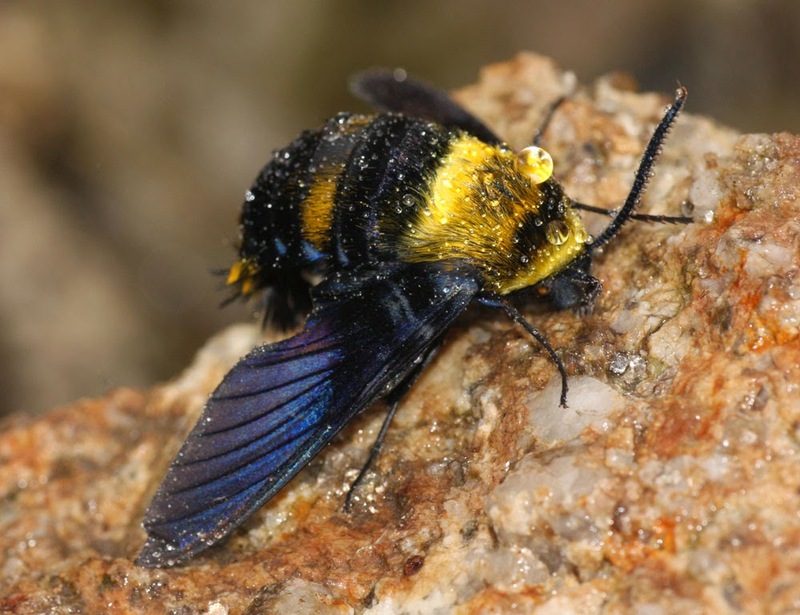 Xylocopa in Greek meaning wood cutter.